Temperature comfort rating, water-proof, compressible, lightweight, down, synthetic - there’s a lot to wrap your head around when trying to find the best sleeping bag to suit your needs and budget! Below we review what we consider to be the best sleeping bags for camping in Australia in the price range of $50 - $200 and conclude the Oztent RiverGum is the best all-around option with a perfect balance of comfort, durability and affordability. We have selected these bags prioritising comfort, durability, affordability, and suitability to Australian 3 season camping. They are suited to car/bike travel or shorter hiking trips. In each review below we note the temperature rating. These are provided by the manufacturer and should be taken as a guide only. The temperature rating represents the lowest temperature at which the user will remain comfortable - so a rating of -5 °C means you should be comfortable at temperatures down to this level (however the rating usually assumes the user has warm sleepwear). In reality, best practice, and the approach most people take, is to go with a temperature rating slightly lower than the lowest you expect to encounter. You can always remove clothing, or unzip for more ventilation if required. All of our below recommendations are synthetic fill as opposed to down. While as a general rule, down fill offers a better warmth to weight ratio, synthetic has better resistance to moisture, is easier to clean, and is cheaper. For general camping, touring, and short hikes, we consider synthetic filling to be the best option if you are on a budget. The Rivergum XL from industry leaders OzTent is an Australian favourite and our number one pick. 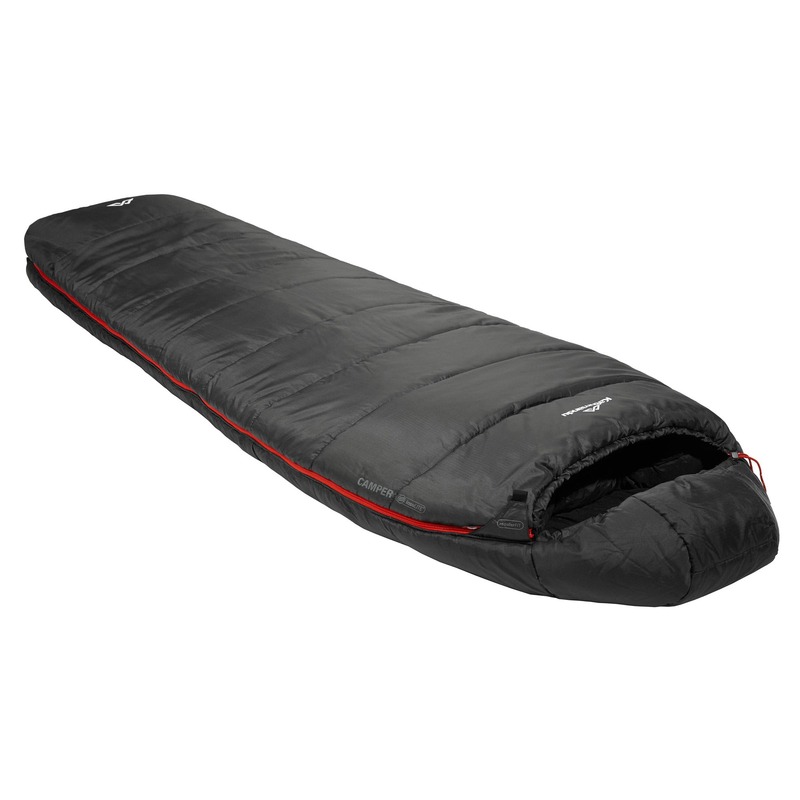 Large, durable, warm, and super comfortable, it’s everything we want from a sleeping bag. Other features include a double zip design (great for ventilation), drawstring hood, and anti-snag zips. People love the additional roominess along with the more "bed like” experience the cotton canvas outer offers over the usual synthetic outers. 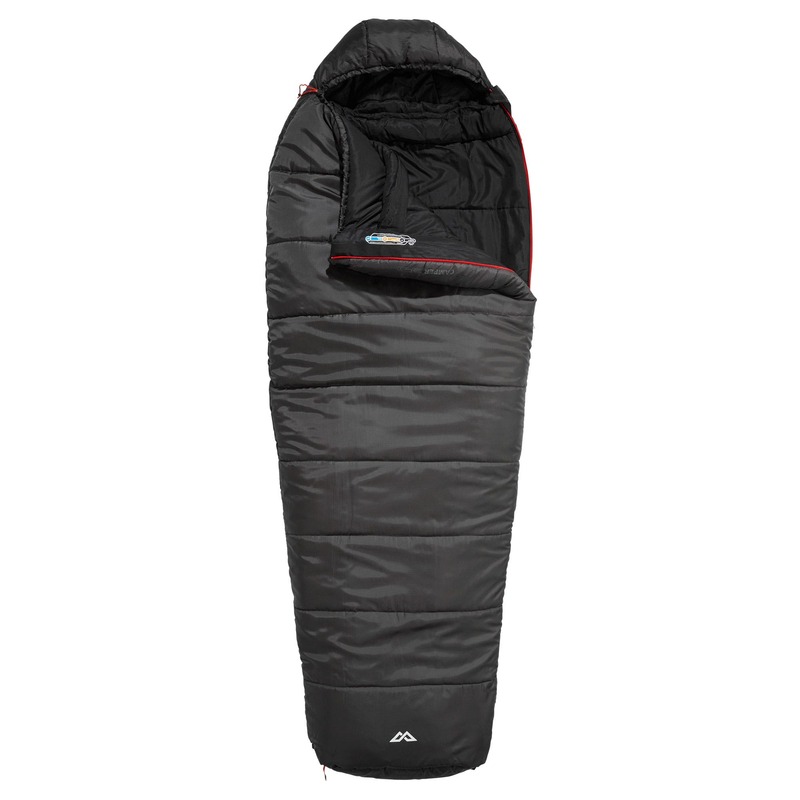 Comfort temp rating is -5 °C (min -10 °C), size 85cm x 235cm, and weight 4kg. 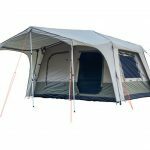 The Micron series has been a mainstay of the Australian camping scene for many years, and with their recently updated design, they continue to offer a perfect balance between performance, comfort and value. An awesome sleeping bag suitable for the whole family. Another Aussie favourite, this sleeping bag is for those who looking for more of a 4 season sleeping bag and are likely to encounter colder conditions. The filling is a dual layer 350gsm hollow fibre, while the other is a water resistant Polyester ripstop 70D. The Cold Mountain also has a super comfortable silk inner liner. This is a large, box-shaped bag and is for general use - Darche has designed this sleeping bag with tourers, fishermen and outdoor enthusiasts in mind. It has a dual zip system allowing entry and exit from either side, along with a separate zip at the bottom of the bag to assist with ventilation. 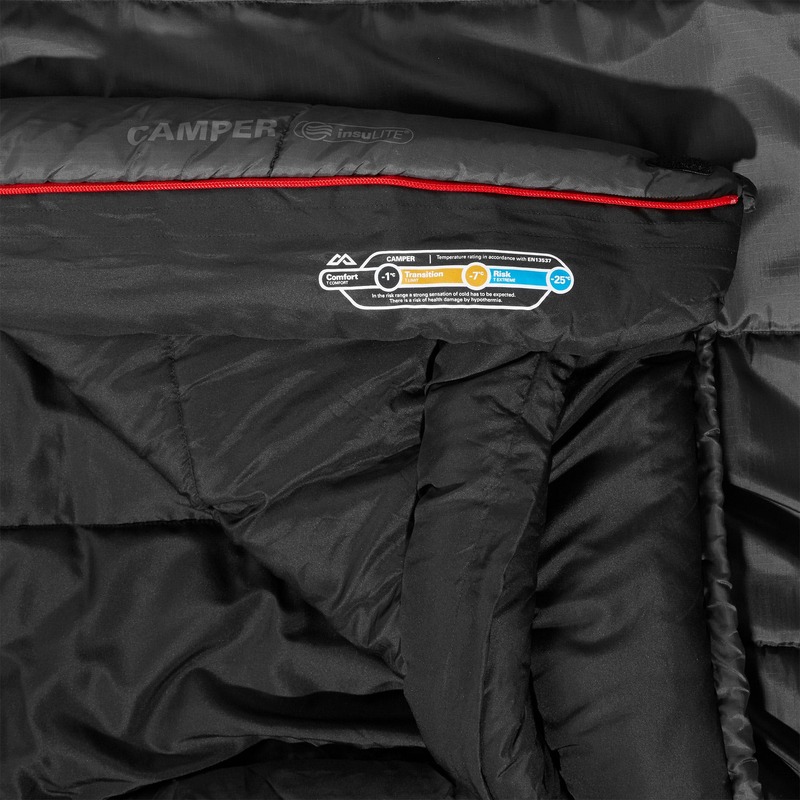 Other features include an internal zippered pocket, shaped hood with drawcord, and compression bag. The Buckly Swag Bag is designed for comfort in the rugged outdoors. Its oversized shape is designed to fit perfectly into a swag, however, this sleeping bag offers comfort at a great price for all campers. The outer shell is a durable poly/cotton, the fill is 2 layer 175 GSM polyester, while the inner is a super comfortable cotton flannel. The swag bag measures up at an impressive 100cm x 235cm and comes with a 3-year manufacturers warranty. Comfort temp rating is -5 °C. Large, comfortable, and warm, the Caribee Snow Drift offers quality without the price tag to go with it. We recommend this sleeping bag for school trips and family holidays. 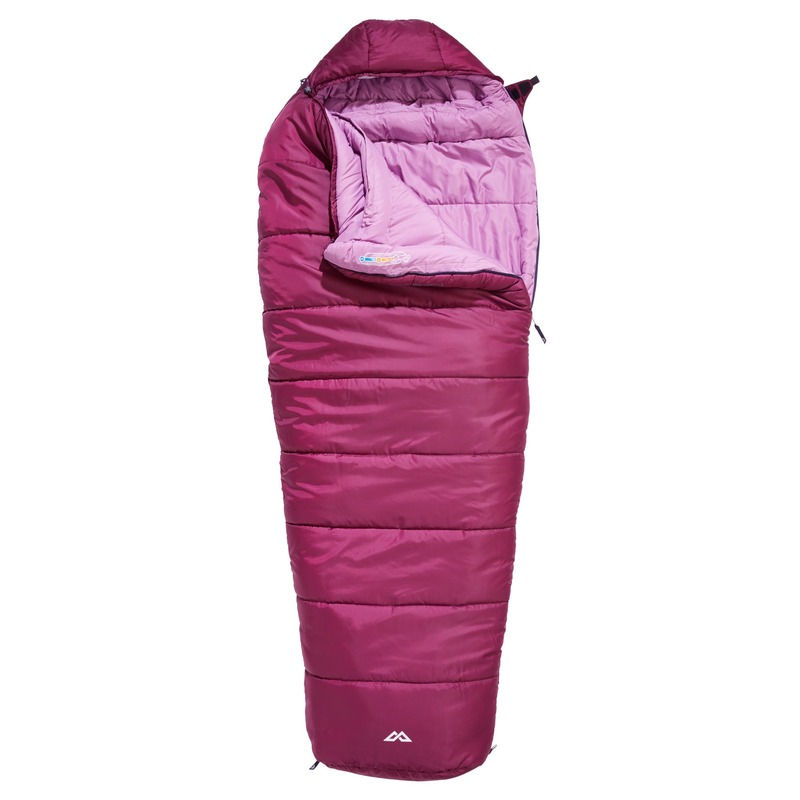 At 240cm x 90cm, these sleeping bags provide plenty of room to move around in and are generously packed with a tech-loft insulated hollow fibre fill, meaning you should be comfortable on all but the coldest of nights. The outer shell is nylon while the inner lining is cotton. Features include an internal security pocket and a drawcord hood. Comfort temp rating is -10 °C. Kathmandu specialises in performance outerwear and equipment, and their Camper insuLITE Sleeping Bag is designed for campers and hikers looking for the perfect balance between comfort and performance. This bag weighs in at 1.8kg/2.1kg (regular/large size), meaning it is half the weight of the OzTent Rivergum, and much more suitable for those who may find themselves wanting to use their sleeping bag for overnight hikes. The outer is made of tough Ripstop Polyester while the inner is a Polyester PolPongee - a soft and smooth woven cloth. The fill is Kathmandu’s trademarked InsuLITE® H2. Features include an internal valuables pocket, fleece covered drawcord, and improved fit for warmth and weight efficiency. Comfort temp rating is -1 °C.